If you have a rack or chain driven slide style gate, try ALEKO's galvanized steel V track for a long lasting set of track. Each set of ALEKO's V track comes with 12 feet in two 6 foot sections, the 2 ¼ inch wide steel V should fit any V groove style of wheels. 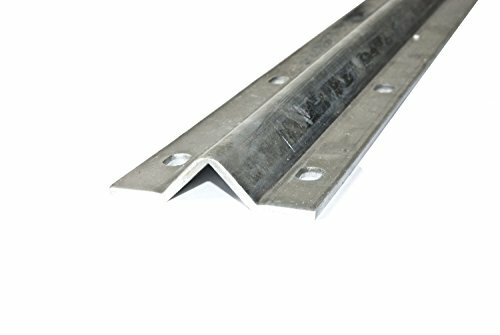 Our track is made from 12 gauge galvanized steel with a 90 degree angle, and the rounded top reduces noise and friction when vehicles pass over it. The low key design won't draw attention to itself, as good gate track should. 12 feet is enough for many gates, but if you have a longer gate and need more track, ALEKO also sells 18 feet length of V track, or you could buy two sets for a total of 24 feet. Each set includes (2) 6 foot sections of track and anchor mounting bolts.